The hot duck might be be hot, and the big steer might be big, but there’s no competing for style points with these good boys. The Washington Post recently provided an inside look at the Groom Expo in Hershey, PA, and I think it’s probably about time for a Blow Dry sequel. 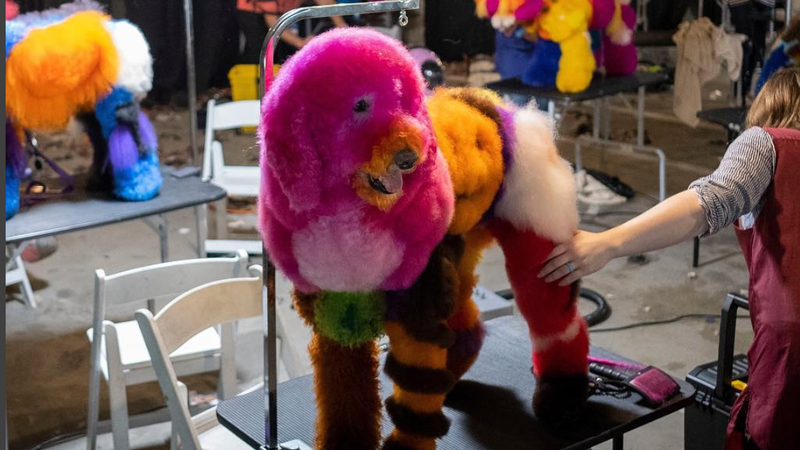 Hope your week wasn’t just good, but rainbow poodle with a fresh blowout good.